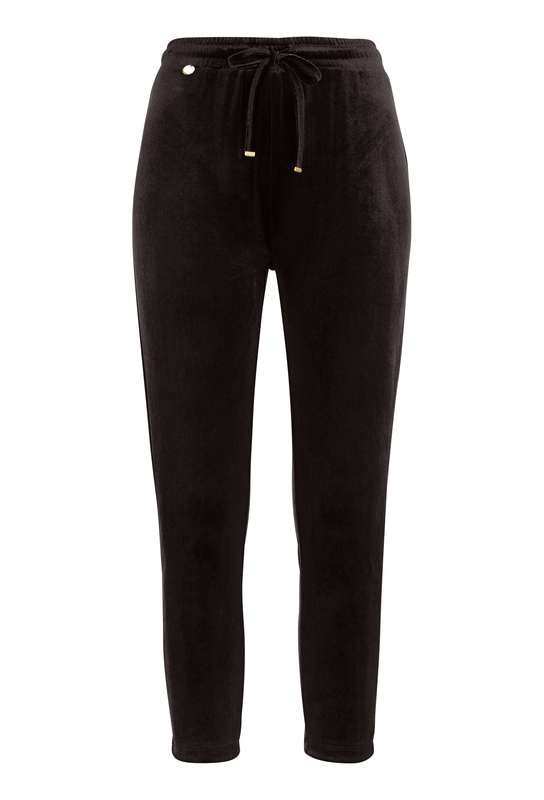 Velour pants in soft tricot and slightly looser fit from HAPPY HOLLY. 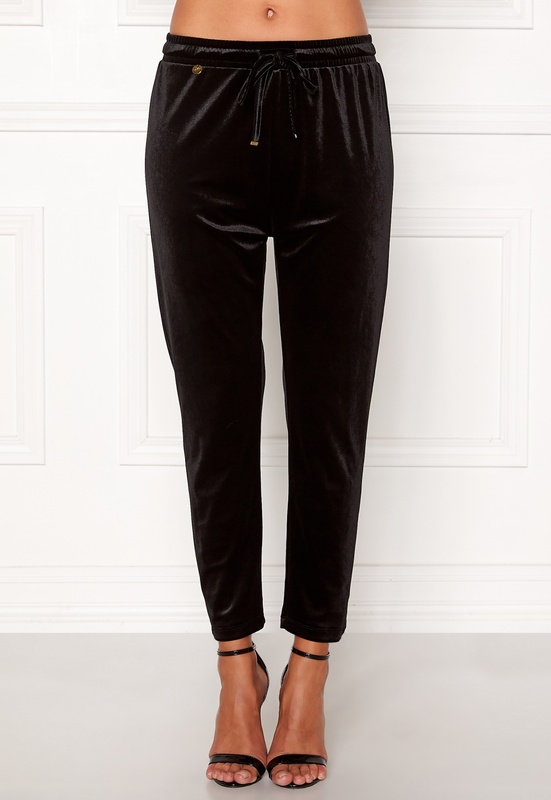 The pants have an elastic, drawstring waist with decorative velour ties. 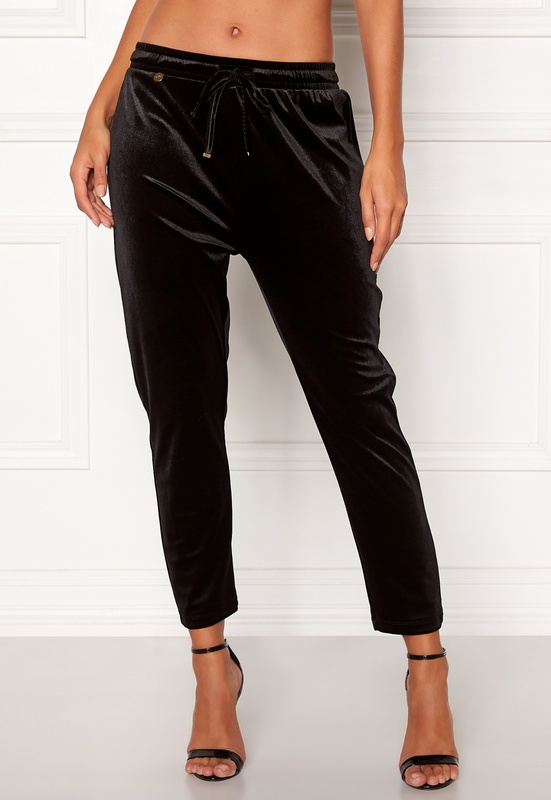 Can be worn together with the matching Pearl velour cardigan, product code 603356. Inside leg approx. 62 cm in size 36/38.